Whether you are trying to quit smoking tobacco or are new to electronic cigarettes, it is important to know which ecig is best for you. The Halo eCigarette is renowned for being an American made ecig that has been awarded the editor’s award not once, but twice by PC Magazine for the best electronic cigarette on the market! This award helps prominently display the quality that Halo Ecigs have to offer; it is no easy feat to win the editor’s choice award. I personally have tried a lot of electronic cigarette brands and I find the Halo eCigarette to be one of the most innovative and unique brands available. 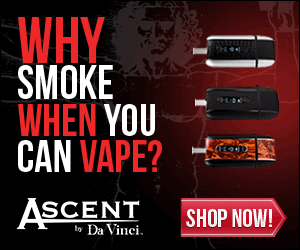 On top of the vaping experience they provide, people love the appearance of the Halo ecigs. They have a sleek, glossy finish and a unique design. The Halo electronic cigarettes look futuristic! Halo eCigarettes are one of the best brands of electronic cigarettes that money can buy. They offer a wide variety of premium flavors so you are sure to find your favorite! With flavors like Subzero, Café Mocha, Malibu, Captain Jack, and Midnight Apple, Halo goes the extra mile to provide 23 different E-liquid flavors. Each one is completely unique from the other. All flavor caps are child resistant, so they cannot easily be opened if accidently left out. This is a must for us parents out there. They are made in the USA and are USP / GRAS grade, so you know what you order is indeed legit. A lot of companies do not even offer USP grade products, while Halo does! This was a major selling point for me. I like to know all that I can about the products that I purchase. Halo electronic cigarettes come in two different types, the G6 E-cigarette and the Triton Tank system. The G6 boasts of a smooth flowing heated vapor, an enhanced battery life, and anti-burn filler technology. The G6’s size is comparable to a regular cigarette and it is recommended for newer users just getting started with ecigs. The G6 is perfect for those seeking a compact unit that can provide a great vaping experience. The G6 starter kit contains everything you need to get started with vaping. I personally started with the G6 and moved to the Triton, I think it is easier to start with something that so closely mimics the cigarette, in every way, when trying to quit tobacco. The Triton Tank system by Halo is recommended for those who have outgrown the G6 or for more experienced users. It is also recommended for those who are looking to just jump into the very best of what vaping has to offer. The Triton Tank system has very long lasting batteries due to ioncore technology. They also offer various voltage batteries with this system. The tank contains an anti-leak shield. The Triton boasts of having the best tank available. The starter kit contains everything you need to get started. Whether you are new to vaping or looking to try a new brand, Halo ecigs are one of the best choices you can make for a good vaping experience. The G6 is known as one of the best mini e-cigs that money can buy. The Triton is known to be one of the best performing electronic cigarettes on the market. You cannot go wrong with the Halo brand; they stand behind their products and offer great customer support. I personally recommend them and give them a 4.5 out of 5 stars!